Dealers, mediators and lovers of art have found themselves at the centre of global attention, as scandals are on the rise with the victims being collectors, who pay massive sums to acquire rare artworks by famous artists. The art trade is governed by a closed, non-transparent system, which as a result sees a number of unscrupulous individuals take advantage of the lack of supervision and make a lot of money at the expense of unsuspecting buyers. The rules of buying and selling are mostly determined by the dealers and mediators themselves, who as it has been proved in many cases, apply suspicious practices and biased criteria for assessing the value of the works of art. Many of the scandals and court battles could have been avoided if the art market players had clearer roles, operated based on specific rules and were supervised by a regulatory authority. A resounding example is that of the Swiss art dealer Yves Bouvier, who is currently implicated in three of the 10 biggest scandals of the art market. Bouvier has allegedly conned big collectors worldwide, selling artworks of famous artists to them at more than double the price of their real value. There are dozens of cases where collectors were conned, even by big auction houses and owners of famous galleries, which have been taken to court. Cases involving conspiracies to set excessively high prices, falsification of competition, theft and forgery, have created major upheaval in the art world. 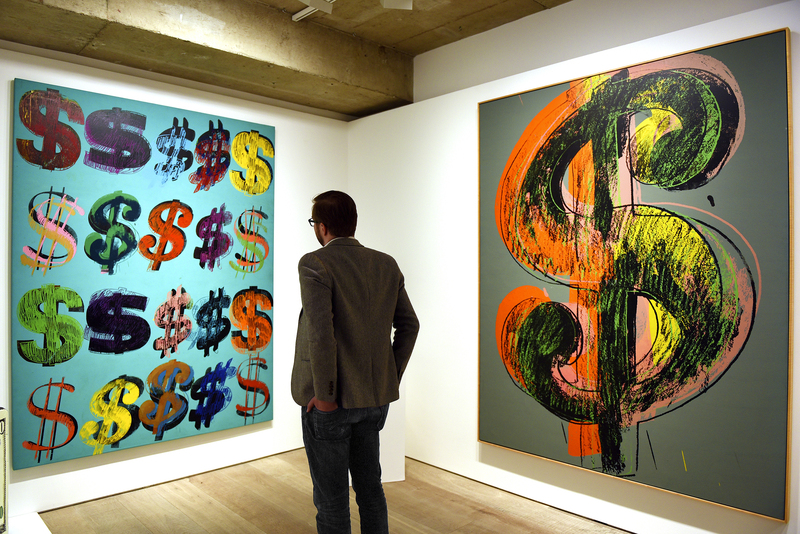 New revelations are constantly brought to light, confirming that art costs dearly. As mentioned above, the name of Swiss man Yves Bouvier is implicated in three scandals, which are still in court to this day. In the first case Bouvier is accused of fraud in relation to the sale of paintings by Modigliani, Picasso and Leonardo Da Vinci, as well as works by other artists. Rybolovlev’s representatives estimate the losses at 1,049,465,009 dollars. This means he paid double the price for his collection. The case is in court. The painting “Savior of the World (Salvator Mundi)” by Leonardo Da Vinci was sold in 2013 to Yves Bouvier by the consortium of artwork traders consisting of Warren Adelson, director of the Adelson Gallery, and New York art traders Alexander Perish and Robert Simon, via the Sotheby’s house for 80 million dollars. Bouvier immediately sold the painting to Rybolovlev for 127.5 million dollars. The artwork was initially purchased by Alexander Perish in 2005 for 10,000 dollars, as a product of one of Da Vinci’s students. The experts of the Sotheby’s house then concluded that the painting did not belong to one of the students but to Da Vinci himself. The case is in court, with the consortium seeking compensation for loss of income from its resale to Rybolovlev at a higher price. Two portraits by Pablo Picasso depicting Jacqueline Roque, the second wife of the great artist and mother of the respondent, Catherine Hutin-Blay. These works along with 70 other paintings by the Spanish artist were stolen from a warehouse Catherine Hutin-Blay was renting. It later turned out that Yves Bouvier sold Picasso’s two portraits to Dmitry Rybolovlev. The case is in the French courts. As of late, a new practice has started becoming all the more popular in the circles of tycoons and oligarchs: the showcase-galleries. There is a plethora of reports online, with Russian oligarchs proving to be experts of the kind. One of them, who is connected directly with Cyprus, is Russian tycoon Alexander Shchukin. Russian website versia.ru reports that while Shchukin resides in Kemerovo, his assets in the United Kingdom are managed by his wife Evgenia Shchukina, his daughter Elena and her husband Ildar. It also reports on the purchase of two art galleries in London, in Mayfair and Knightsbridge, highlighting how galleries are a traditional means of money laundering. “They proceed with the purchase and sale of artworks between themselves or with anonymous buyers at extravagant prices and the oligarch’s daughter would never miss out on such an opportunity,” it says.